I don’t drink alcohol, I don’t eat meat, or dairy products, and I have never been a fan of finned and/or shellfish, so I don’t eat any creature from the sea either. “Wow, Taryn, relax.” Don’t worry, I am still a good time, I just aim to live life as healthy as I can, because I ask, or rather demand, so much from my body in order to push my fitness potential. However, there is more to it than that. “What am I really doing here?” AKA, life? This, and similar ponderous questions were on the front of my mind the entire six hour drive south from Santa Rosa a couple of weeks ago. The sensation I felt most after the half Ironman race while chatting with my much younger teammates, was old. I kept looking at the number 39 emblazoned in black permanent marker on the back of my calf, (that 9 just barely hanging on to the 3), as I spouted off phrases like, “When I first started racing full Ironman’s ten years ago,” and “I remember when…” Those extra years felt heavy. The truth is, I don’t want to turn back time, I actually like every new day better than the one before, but what I do want is to be as healthy and strong as possible today, tomorrow, and for as many days and years I can muster thereafter. Even though it feels like Father Time is rushing life along, and the window to achieve my ultimate fitness in my beloved triathlon is closing, that’s okay, because my health, and every day appreciation and dedication to improving it, is what matters most. I did not raise my head to recognize that thunderclap on my own; I needed help from my Plant-Powered pal, Rich Roll. (Please note: Mr. Roll and I are pals like I am pals with Britney Spears, which is to say, not at all. But, I did meet him once, and sent him my book, so really, I believe my choice to start to weaving our matching friendship bracelets already is completely valid). In any case, I was deeply affected by his book Finding Ultra, when I read the first edition in May, 2012, and his story hit home again after I read his updated version over Boston marathon weekend last April, (the essence of perfect timing). Naturally, I am a devout follower of his podcast, and similar to my #newblogtuesday schedule, he posts a new episode every Sunday. Therefore, a couple of weeks ago, when I was finally home from the long drive from Santa Rosa, and finished with my workouts, my bruised pride and I hunkered down in my office to take in his latest episode with Darin Olien, a Super-food hunter. #DreamJob Suddenly, I quit chewing the sour grapes I kept popping in my mouth since I finished the race, and realized optimum health is the true purpose I am striving for, not prizes or glory. The cool part is that I have experienced those accomplishments throughout my triathlon journey, but I believe they have been a nifty byproduct of adopting a lifestyle that is both healthy and compassionate; I only eat plants. I have been a vegetarian since December 26th, 2002, Vegan/Plant-based since March 1st, 2017, and a Teetotaler, (non-drinker), since August 13th, 2017. “Really? You gave up drinking, too?” Said many, many people close and not-so close to me. “Yes, yes I did.” Replied the tall lady holding a cup of water with a drowning lemon wedge. I had stopped drinking wine, and hard alcohol, but was still drinking beer the months before I made the decision to call it quits on everything. I chose to stop drinking completely after having an enlightening conversation with my sister in law, Carly Fox, while sitting on my parent’s wall overlooking the ocean. An excellent setting for breakthrough life moments. Carly is a Yogi, a phenomenal surfer, and someone who’s aura literally lights up every physical space she walks into, so when she shared how she stopped drinking because she honored her body so much through her Yoga practice and mediation, that she wanted to maintain that intention by not putting alcohol in her body either, I listened. The lovely Carly and Bo Fox. What Carly said made a lot of sense to me, because I had become so careful and aware of every food I put in my body through my many years as an endurance athlete, and examined how every morsel reacted to my training and racing, but I had yet to fully give up booze. I felt like I was talking the talk of healthy living, but not walking the walk. During our chat, I decided that I would not drink any alcohol until after I raced Ironman Arizona that following November; a task I assumed would be difficult, but not impossible, because I was extremely focused in every other regard preparing for that race, why not go all the way? On my way to my first Kona-Qualifying finish. So well in fact, that I did what society tells us we should do for any celebration, DRINK! I had a couple of beers the night of the race, and a few more the following weekend, but something felt off. Like I mentioned earlier, life is speeding by at wickedly fast pace, and I don’t want to be fuzzy for another moment of it. I haven’t had a drop of alcohol in 2018, and just like my decision to be plant-based, I don’t plan to drink ever again. My priority in life is to improve every single day in body, heart, mind, and soul, which is why I believe I am drawn to triathlon. I am able to express my desire, emotion, and drive to improve physically, mentally, and emotionally through working out my body, inside and out, and aim to grow stronger every day, for many years to come. On a related note, I thought I would share how I sustain myself on a plant-based diet on most days, and especially during these critical Ironman build training days. Truthfully, my diet is steady all year round, which I believe accounts for how I can slip in and out of heavy training without missing a beat. I recover quickly eating veggies, (meat takes days to digest, which taxes needful energy, while vegetables can get in and out of our system in hours, thereby conserving energy for the more important muscle repair tasks required to speed up recovery), which is crucial during Ironman training, because nearly every day is packed solid in volume or intensity, (especially with my coach, #teamhpb), so I need to be ready to go every single day. 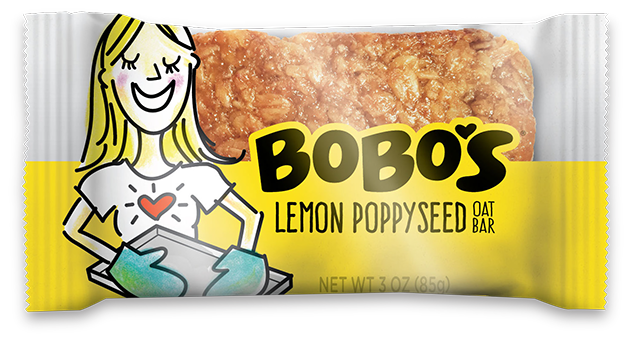 Bobo’s Lemon Bars = Another Gluten free and Vegan bar, but this one has more heft than a Picky Bar, which makes it a great option for replacing lost calories after a tougher ride or run. This bar is also an excellent first breakfast choice if heading out on a 70+ mile ride, but I find it too heavy before a run or swim. Green Juice Smoothie: Kale, 1-2x apples, 1x banana, chia seeds, turmeric or curry powder, Acai powder, Maca powder, Gogi berries, Spirulina, water. - Since I work later hours, (2p – 9/10P), eating my greens during lunch helps alleviate the stress to make a big salad for dinner, and helps replenish many of the nutrients burned off during my morning of training, while setting me up nicely for a full day of work. - I also take a B12 supplement with my smoothie since that is one of the only vitamins difficult to intake adequately on the plant-based diet. I have been a big fan of Kombucha for ten years, and I LOVE that it is so easy to find these days. It is expensive, yes, but I believe it is worth it. Plus, I don’t spend money on alcohol or meat, (which are pricey), so I do not mind splurging on a daily bottle of this delicious probiotic elixir. I usually buy this healthy combo at the gas station nearby my office. - I sometimes add a vegan cookie to the mix if I have a HUGE workout the next morning. They are definitely my top protein source. I have eaten this cocktail hour combo of raw almonds, Trader Joe’s Pumpernickel pretzels, and dried apricots for nearly fifteen years. I used to eat these tasty morsels with a beer or a gin and tonic, but these days I accompany them with a Hansen’s sugar-free soda, or www.sistershrub.com and mineral water. My sister Mary Heim's delicious and healthy ACV drink. Chickpeas, tomatoes, carrots, almonds, pepitas, almond cheese, edamame, beets, Extra Virgin olive oil, Balsalmic Vinegar, Salt and Pepper. I change this entrée up sometimes by adding marinara sauce, or pretzels if I arrived home too late to eat my cocktail hour combo mentioned earlier. - All of these foods are easy to digest, which make them a good late-night choice that do not interrupt my sleep. Typically, these meals include my mid-week ingredients with an additional carb choice like yams, quinoa, or pasta, which help boost my energy to recover and prepare for the longer training sessions. This pasta dish, that I devoured last Saturday night, was vital in helping me complete my first BIG Kona training weekend. This is my "go to" pre-race dinner, yams, kale, and almonds. I ate this particular plate the night before the Boston marathon. 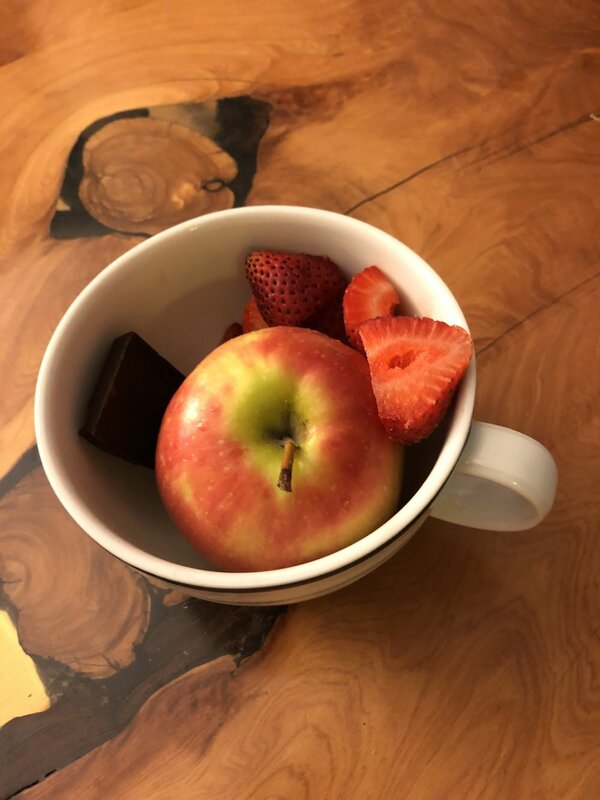 Back in the day I would eat half my body weight in ice cream, but lately I stick to dark chocolate, fruit, and nuts for a late-night delectable treat. That said, there are many non-dairy ice creams on the market these days, which is fantastic, but I still save ice cream for extra special occasions like ironman/marathon finish evenings. Picky Bars, Clif blocks, GU’s, Base salt, NUUN hydration, and water.